Morabito was drafted from Peel Thunder with pick four in the 2009 national draft. After seven injury ravaged seasons and 26 games with Fremantle, former first round draft pick Anthony Morabito is to part ways with the club. The 24-year-old, who has had multiple knee reconstructions, tore a quad muscle in Peel’s win over East Perth in Sunday’s WAFL Elimination Final and will undergo surgery in Melbourne this week. Renowned for his pace, strength and kicking, Morabito was drafted from Peel Thunder with pick four in the 2009 national draft. The big-bodied midfielder made his debut in round one 2010 against Adelaide, and missed just one game in his inaugural season and played in what at the time was Fremantle’s third ever finals series. His debut year was capped off with a NAB Rising Star nomination in round 22, and a brilliant running goal in the 2010 Elimination Final against Hawthorn at Subiaco Oval that will long live in the memory of Fremantle fans. Morabito then suffered three consecutive ACL injuries to his right knee in 2011, 2012 and 2013, resulting in three knee reconstructions, including a hybrid LARS procedure. The Harvey Brunswick product played three AFL games in 2014 after a 1394 day absence from league football and played his last match in round 18 of that season against St Kilda at Etihad Stadium. Delisted at the end of 2015 before being re-drafted as a rookie for 2016, Morabito played 14 games for Peel this season before his latest injury setback on Sunday. Fremantle today advised Morabito and his management that the club would not be extending his contract. “Given the nature of injuries and setbacks that he has endured, Anthony has shown incredible resilience and determination to keep pursuing his dream,” general manager of football operations Chris Bond said. “Unfortunately, we have advised Anthony today that we will not be extending his contract. Senior coach Ross Lyon also praised Morabito for his ability to keep fighting back despite the debilitating effect of multiple knee reconstructions. “Ask any athlete about the challenges they faced in recovering from just one knee reconstruction and you get an understanding of what they have to go through,” Lyon said. “In Anthony’s case he has been through that three times and on each occasion he refused to capitulate. “It is a testament to Anthony that, as he has said of himself, what he’s been through with injuries and setbacks has made him a better person. 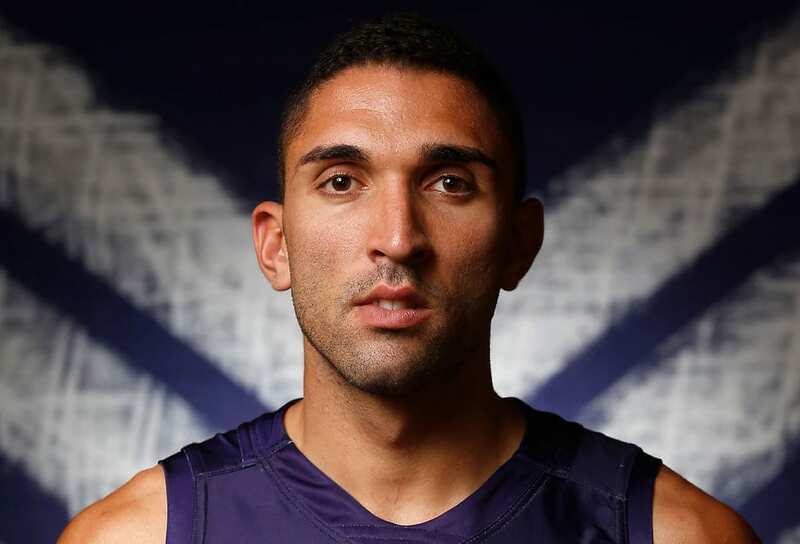 Morabito said he was grateful for the all support he had received from the club during his seven seasons at Fremantle. “Thank you to the Fremantle Football Club for awarding me the opportunity to pursue my AFL dream,” Morabito said. “The ongoing support I received from the club, particularly when faced with difficulty and injury, will be appreciated forever.